NZD is being supported since the new prime minister has been chosen. 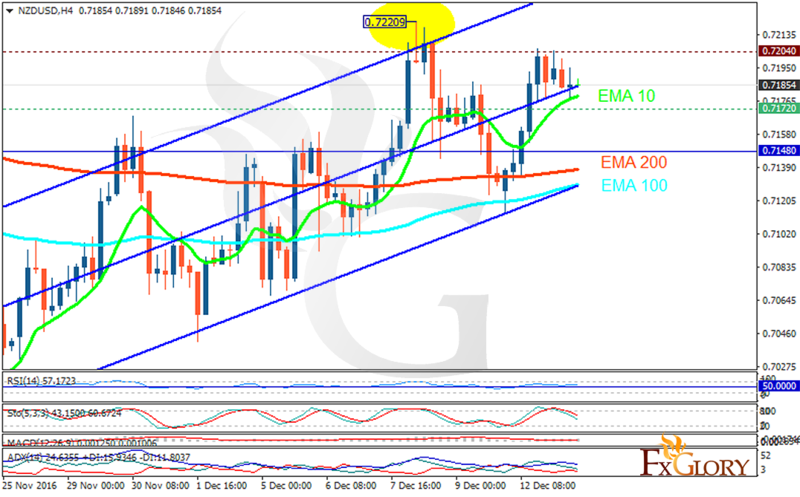 The support rests in 0.71720 with resistance at 0.72040 which both lines are above the weekly pivot point at 0.71480. The EMA of 10 is moving with bullish bias and it is located above the EMA of 100 and the EMA of 200. The RSI is falling towards the 50 level, the MACD indicator is in positive territory and the Stochastic is moving in high ranges but it is showing downward momentum. The ADX is showing buy signal. There is no clear signal to forecast the price direction however in terms of the price growth 0.7250 is buyers’ next target.